Measuring up to the highest standards is motivation enough to surpass ourselves anew. As a supplier our solutions for SHOP FITTING are the ideal backdrop for any goods. Ackermann GmbH is no stranger to the TRADE FAIR CONSTRUCTION sector. We have long-standing experience producing key components for renowned trade fair constructors and project offices. The combination of unique design and technology of the highest standard is in keeping with the high-caliber level of the products exhibited. We set the stage for their presentation. In addition to traditional elements such as counters, stairs, wall and ceiling panels, our core competence is the realization of large-scale freeform objects. The synthesis of classical and ultra-modern materials unleashes unimaginable creative potential. This in turn is channeled into making reality out of the most diverse array of creative concepts. Novel and innovative machining methods expand artistic possibilities without neglecting economic efficiency. For INTERIOR CONSTRUCTION projects the skilled craftsmanship of our employees is effectively combined with the possibilities provided by industrial machining manufacturing. Owing to this intricate relationship, orders needing to meet the highest design and material standards can be fulfilled not only within a narrow time frame but also at a realistic price. We cover the whole spectrum: from individual shelves to complete interior construction. Elegant designs and impeccable workmanship create a matchless ambiance and a distinctive look time and again, giving each and every room its very own character. The harmonious interaction of all the components produces a result that is unrivaled in all respects. On closer inspection subtle nuances can be seen in design and manufacturing – nuances raising our products to a whole new level. Ackermann GmbH stands for distinctive professional competence and for transforming their singular solutions into reality. What started back in 1934 with company founder Georg Ackermann and passed on to Fritz Ackermann has evolved in recent decades in the hands of Frank Ackermann and his wife Andrea into a company whose reputation as a creative supplier for carpenters, joiners, shopfitters and trade fair construction companies has steadily grown. 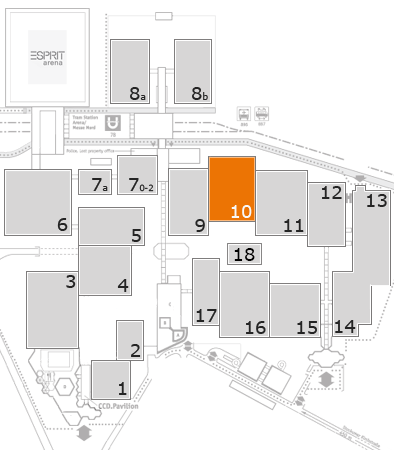 Ackermann GmbHs facilities currently cover over 13,000 m2. Over 120 employees have the latest and in some cases even exclusive manufacturing techniques at their disposal, including six large-format CNC machining centers, a PU hot melt calendar press, two CO2 laser cutting machines and a CNC cutting plotter. But all this is just “a means to an end”. We prefer to define ourselves by our character and our shared passion for making the extraordinary possible and exceeding our clients expectations daily.